There are many Alicante monuments like museums, churches, cathedrals which complement the wide range of tourist facilities of this wonderful city. After sundown and when Alicante visitors are seeking fun in the typical local town. A good option is "El Barrio" or Old Town where there is a wide range of premises that serve excellent dishes, good music and fun. 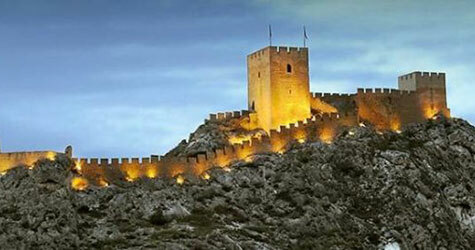 If you are looking for more to do and to see, take a look at the Alicante sightseeing. Cathedral of San Nicolas de Bari Building from the 17th C.
It was constructed in the Herrera style with a single nave and various attached chapels. The Communion chapel ,Baroque style, is one of the most important ones. The mainfronts of the cloister are from a previous temple, dated from the 15th C.,as is the bust-reliquary of Santa Felicitas. The Baroque style is also present in the altar of S. Nicols de Bari and the steps that leads to the altar are made of Genoa marble, this one is situated in the central nave.Among others it is quite interesting the cloister grilles dated back from the 18th century. Iglesia de Santa Maria Building from the 13th C.
It is the oldest church gothic- style in Alicante. 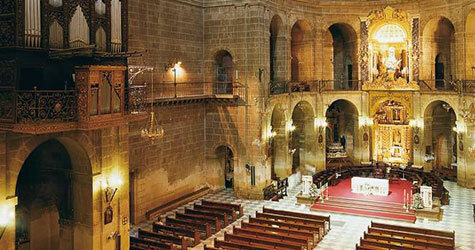 It was rebuilt in the 15th century after a fire. The faade is Baroque and inside of the church there are some Rococo details. An impressive marble font (Carrara) is in the Chapter House. This castle is situated on the Benacantil (mount). The Castle has been reformed several times over the centuries due to the destructions caused by the different wars over the history. It is formed by the "Torreta", the "intermediary enclosure" where the Felipe II salon is and the "lower enclosure" from the 18th c this last one. This church of gothic style shows a sanctuary of Renaissance style. It is composed of one nave and side chapels. The main building is Gothic (Isabel). It has a pointed and splayed arch with archivolts adorned with plants. The High Chapel is autonomous, separated of the nave by a arch structure. It stand out the cupola with square base decorated with caisson. The Communion Chapel was added in the 18th century. This is an Arabic style castle which It was conquered by the Castilians in 1239. Due to its location it dominates the city. The castle is located in the high part of the town. It is dated form the 11th century, even if the remains preserved are from the 12th century. It is composed into two parts - the local cemetery and the other for the defence of the population. At the beginning it was a Muslim settlement, but after it becomes part of the Crown of Aragon. The mayority of the remains date from this time, the period of Pedro IV. It is not very well preserved, because of most of the castle was destroyed by two earthquakes. This fortress has the unusual feature of housing the whole town - all of it formed part of the castle, surrounded by mountains. The castle was bought in 1993 by the Marquises of the town and was declared a Historic-Artistic monument. Stands out the parish church and the Ordua house.